For those of you who don't know, Story Into Screenplay based out of Houston, Texas. 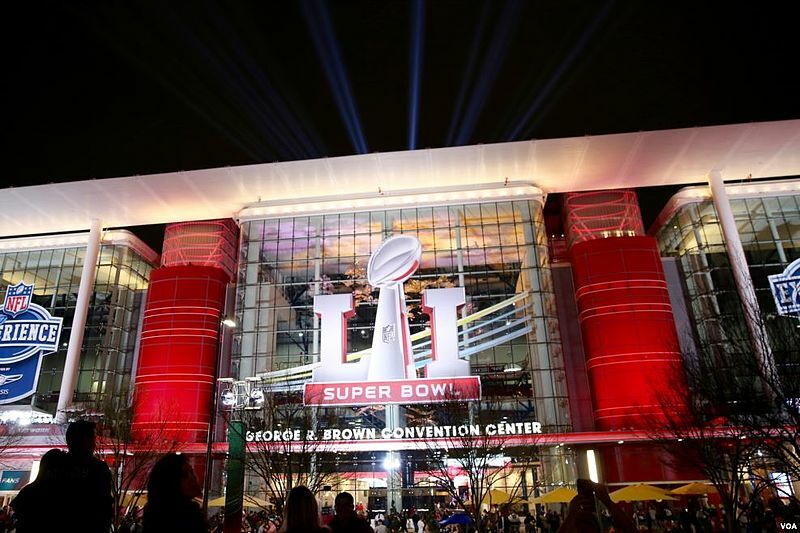 For those of you who don't follow pro football, or life in general, Houston hosted Super Bowl LI, along with a number of events that catered to prominent members of the entertainment industry in conjunction with the game itself. While some writers may view such events as opportunities to network with celebrities, pitch script ideas, and get some "face time" with industry bigwigs in a festive atmosphere, I avoided the Hollywood hype train as it rolled into town. Like most Houstonians, I treated the Super Bowl like the occasional hurricane that blows through town, forces residents to hunker down, and leaves tons of garbage lying around in its wake, which explains why this post comes a week after the Big Game. However, like millions of other viewers, I watched the commercials that accompanied the broadcast with an increased level of scrutiny. Some aspiring screenwriters make the mistake of looking down on commercials as “beneath them” on a creative level. As a veteran writer of several short films on very short deadlines, I can tell you that it often takes more skill to tell a coherent story that covers a minute or less than it does for one that takes over two hours. V: Melissa wants to take part in environmental protection causes. O: She has to deal with angry whalers, lumberjacks, and fragile ice caps. T: She drives her “Eco-Hybrid” SUV from location to location. E: She needs to feel like her actions are making a difference. V: John wants to get the domain name JohnMalkovich.com for his website. O: Another user, also named “John Malkovich”, has his domain name. T: He writes emails, makes phone calls, and badgers the domain name holder. E: He needs to recover the domain name, as it represents a part of his core (online) identity. V: Adolphus Busch wants to create a German-style lager beer in America. O: He faces dangers in his travels and prejudice from Americans opposed to immigration. T: He travels by any means possible to get to St. Louis, a frontier town where he can make his own way. E: He needs to achieve his dream in America, since he was denied his chance in his native Germany. V: The girl wants to win the soapbox derby race. O: She faces treacherous road conditions and aggressive driving from the boys in the race. T: She uses her driving tactics and her own aggression against the boys. E: She needs to show the boys that she's just as good at soapbox derby racing as they are. While you can think what you want about any socio-political statements these ads make, you should look at these ads as a writer and examine how they create memorable messages through strong characterization. After all, isn't that what we all want to accomplish as screenwriters? If you need help with your screenplay, whether it's a 30-second commercial or an epic feature film, contact Story Into Screenplay at storyintoscreenplayblog[at]gmail[dot]com, or through our Facebook page.